Dr. Iamei Aowmathi was born in Guyana, South America and is an Internationally known Naturopath physician. He was trained in the Individual Psychology of Alfred Adler with a PhD in Psychology and a Healing Practitioners Diploma in Holistic Medicine from the school of HP Kollege Munich Germany, and a certified marriage family and child educator from the WIRTH Institute. He is the Executive Director of BAKJA Health Movement, the only in and out patient Clinic in Guyana for treatment with indigenous and traditional medicine, along with home care facilities for Senior Citizens, for the past 28 years, and founder of DIPAG (Differently Abled Persons Action Group for persons with disabilities); Founder and Executive Director of GAAM (Guyana Association for Alternative Med) and GAAMI (Guyana Association for Alternative Med. Institute) for training in Indigenous, Traditional and Integrated Medicine. Accredited by the Accreditation Council of Guyana, and is in partnership with the Institute for integrated Naturopathy in Zurich /Switzerland. He is the first Holistic Practitioner to lecture on Indigenous and Traditional Medicine at the University Hospital Zurich/Switzerland, under the Theme “Alternative Med. As a healthy Contribution” as well as UWI Trinidad and University of Guyana/Faculty of Health Sciences among others. 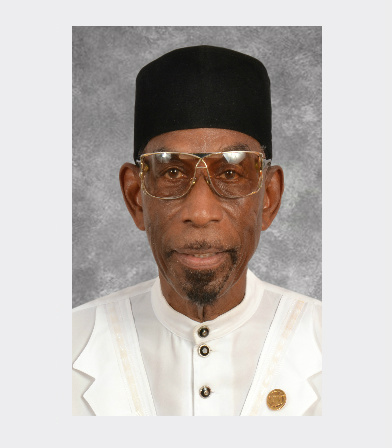 He represented Guyana at the Caribbean Herbs business forum in Montego Bay Jamaica, and received an award 2016 from the Guyana Government in recognition of his accomplishment in the area of development of medicinal products from the coconut. He represented Guyana by invitation at the “World Prayer day dedicated to Guyana” in Switzerland.